We now know the six Canadian stadiums and cities that are biding to host games in the 2026 World Cup. They are: Toronto’s BMO Field Montreal’s Olympic Stadium Vancouver’s BC Place Edmonton’s Olympic Stadium Regina’s Mosaic Stadium Ottawa’s TD Place There’s a not a lot of surprise on the list. 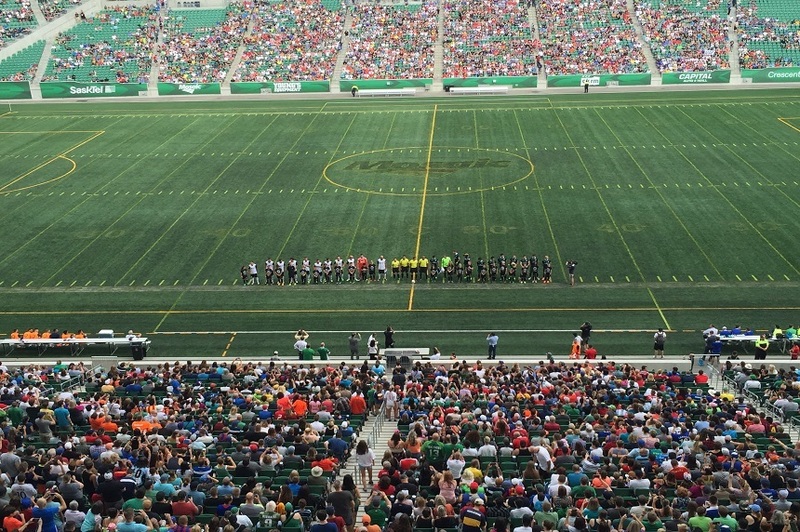 Calgary declined to pursue the bid further, which may be bad news for their Canadian Premier League bid (as getting a stadium built is key to it and failing to bid now suggests that they are not yet sure if it’s going to happen). With Canada set to get six games in total there is a certain logic to suggest that each city is likely to get a single game. Although the caveat to that is that Olympic Stadium will need serious work to be World Cup ready. Another issue is that only one stadium – It’s almost certain that all of the five stadiums will need to put in temporary grass. Of course none of this will matter if Morocco wins the bid. It’s a bad day to be a soccer fan in Winnipeg or Hamilton. 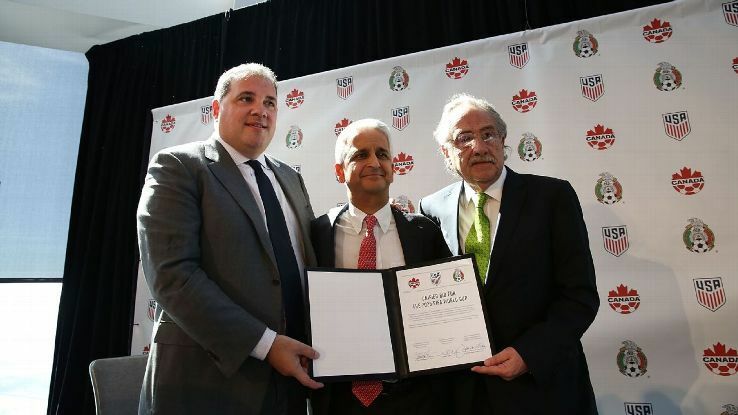 Ironically, the first two cities to commit to being part of the Canadian Premier League were the two notable cities not included on the list of cities Canada has approached to apply to be a host city in the 2026 World Cup. Obviously, this will be a moot point if Morocco somehow takes the bid away from the hugely favourite United North America bid, but few think that will happen. So, it’s basically the end of any dream that either city will ever host a World Cup. It’s a double blow for Hamilton in that they were also left off the Women’s World Cup rotation in 2015. It’s a shame because the city was a wonderful host to the Pan Am tournament and a women’s pre-tournament friendly between England and Canada. It’s a bit baffling, actually. Tim Horton’s Field is only 24,000, sure, but it can be expanded to 40,000 (and possibly even more for a major event like a World Cup). Since it seems unlikely that the CSA is springing this on these cities blindly, it could be that the City of Hamilton turned down the chance to bid. In fact, that's the noise that many are suggesting -- that Hamilton turned down the chance to bid. That seems short-sighted, but I’m not a Hamilton rate payer. Much of what was written about Hamilton can be extended to Winnipeg. Two new stadiums in cities that don’t traditionally get looked at to host major events….surprising, to say the least. And, once again, it appears that Winnipeg came to the conclusion on their own. There weren’t a lot of shocks among the cities included. Both Toronto and Montreal were invited to apply with two stadiums – BMO Field/Stade Saputo and The Stadium Formally Known as SkyDome/Olympic Stadium – and the rest of the cities – Ottawa, Regina, Edmonton, Calgary and Vancouver are basically the default cities that pop up in these conversations. The two biggest questions among the included cities might be Montreal and Calgary. The Big O is an old 43 years now. It’s hard to imagine it not being held together by duct tape and empty bottles of Old Vienna by 2026. Saputo is the smallest of the stadiums included. It would take a major renovation to get up to the required size (although with the Habs having never hosted an outdoor NHL game that might be of interest to the city). Calgary has no legitimate option other than to build something new. McMahon Stadium is already 57 years old and it’s never been called anything other than functional, even by its fans. It seems likely that Calgary has been included to add further support to an ongoing effort to completely overhaul the city’s sports infrastructure. Calgary wants to build a new hockey rink, multipurpose stadium and host the 2026 Winter Olympics. Hosting a couple extra World Cup games a few months after the big party would be the icing on that very expensive cake. Mexico only put three cities forward, so you’d imagine they plan an even split of games. That’s not in Canada’s nature – the games here will be split equally between the east and the west.